Emmanuel Riviere threatened to upstage Monaco's expensive summer imports in their 2-0 victory at Bordeaux. Emmanuel Riviere threatened to upstage Monaco's expensive summer imports in a 2-0 victory at Bordeaux - but 60 million euro man Radamel Falcao had the last word. A bumper crowd at the Stade Chaban Delmas came both to usher in the new Ligue 1 season and to check out the wealth of talent recruited by ambitious Monaco in the few months since their promotion in May. Falcao was the star attraction while Joao Moutinho and James Rodriguez - captured together from Porto for 70 million euros - were in action. Jeremy Toulalan and Ricardo Carvalho also stepped out in principality colours, but it was the understated Riviere who finally opened the scoring nine minutes from time. In the dying stages Colombian hitman Falcao, who had been bought on the strength of his formidable scoring record at Atletico Madrid and Porto, would deliver his first goal for Claudio Ranieri's men to rubber-stamp the victory. 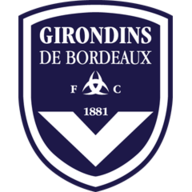 The first half was evenly balanced and Bordeaux enjoyed two fine chances in the opening five minutes, Ludovic Obraniak smashing the ball against Danijel Subasic from 25 yards before Henri Saivet volleyed hard against the crossbar. 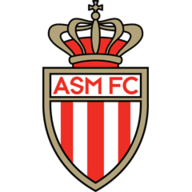 Monaco soon bared their teeth and Yannick Carrasco saw a close-range shot parried onto a post by his near namesake Cedric Carrasso in the Girondins goal after being sent through by Lucas Ocampo. Toulalan then sent Rodriguez through and, after dribbling through a forest of blue shirts, the former Porto man drew a firm save from Carrasso. As half-time drew closer, Falcao tried his luck with a curling shot from Rodriguez's pass but Carrasso saved once again. Saivet's first-half volley had drawn gasps but a much better opportunity arrived in the 53rd minute, only for the winger to slam the ball inches wide with his left boot. Falcao soon freed Mounir Obbadi to control and fire with two quick touches and Monaco steadily began to turn the screw. When Riviere's goal arrived in the 81st minute it looked like becoming a modest talking point from an end-to-end match. The Martinique-born striker was an unlikely source when he cut a short pass from Layvin Kurzawa inside Carrasso's near post but there was time for at least one stellar recruit to start repaying some of his transfer fee. Obbadi brought the ball up the right flank to pick out the Colombian, who fought several defenders to turn the ball home before wheeling away to celebrate wildly with his new team-mates.